For the tiebreaker poll, please vote for one title to move on to the next round. The poll will be open for four days. Have to abstain, since never seen either. You guys have to watch Mermaids! I love that film. Thanks for the tip! 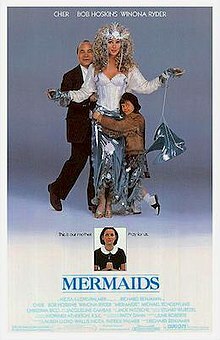 Got out of work early because of snow and decided to use my time wisely and check out Mermaids. I really enjoyed it! The film is not about mermaids. Who knew? 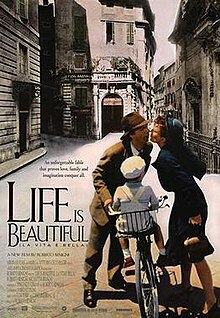 Some really great performances in this one and I love hearing the internal monologue of a young girl finding herself. Also, man, Cher is smokin' in this film. It's a wonderful film and I'm surprised it's not better known. So glad you enjoyed it Mike! Yes, especially considering the cast. I'm surprised it's not more well known too. I will have to ask my mom if she's ever seen it. I'm kicking myself because a few weeks before our nominating process began, I had the film in my hands and I put it back. I will have to see if it's still there. I also wanted to add that it's funny that Michael Schoeffling is in Mermaids. I actually just watched Sixteen Candles for the first time a few weeks back. Schoeffling is also in that film. He really only made a handful of films before walking away from acting. In fact, after Mermaids, he only made one more film. The poll has closed. Mermaids moves on and Life Is Beautiful has been eliminated. My vote mattered! I sat down to watch the film and it actually mattered. It really great that this tournament is making people watch movies they might not have! It's a great side-effect of these things. It's one of my favorite things about any of the tournaments we do. That and the satiation of my compulsive need to vote on things.